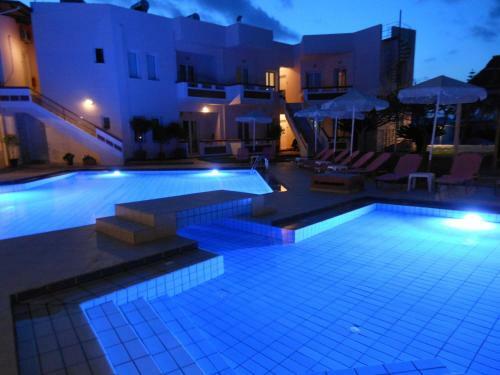 Featuring a swimming pool and a spacious sun terrace Anthemis is 1.5 km from the sandy beach of Stavros. It features self-catered accommodation with a balcony overlooking the Cretan Sea and the mountains. 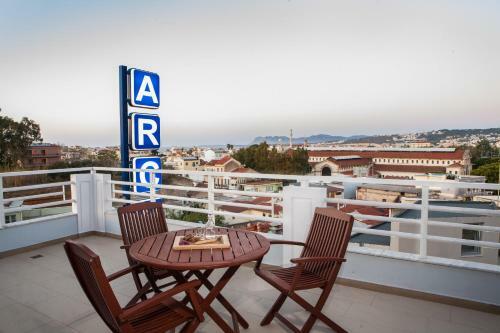 Located in the area of Agia Marina, Angelica offers self-catering and air-conditioned studios and apartments set around a free-form swimming pool with sun terrace. Within walking distance, guests will find taverns, mini markets and a bus stop. Loukia Hotel enjoys a privileged location at Chania�s old venetian port, overlooking the well-known Kountourioti promenade. Continental breakfast is served each morning at the breakfast room. Just 100 metres from the crystal clear waters of Chrisi Akti Beach, Elma�s Dream offers a quiet retreat with a swimming pool, with special section for children, a restaurant and a poolside bar. 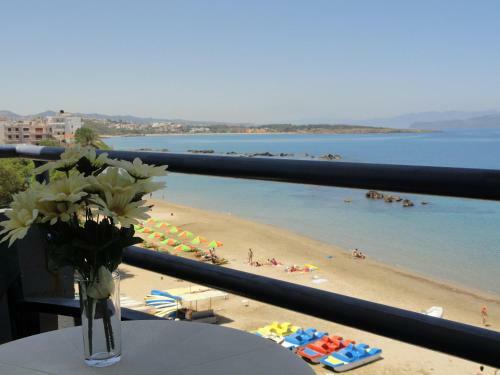 Esplanade Apartments are located 8km from Chania and 900m from the sandy beach of Kalathas. 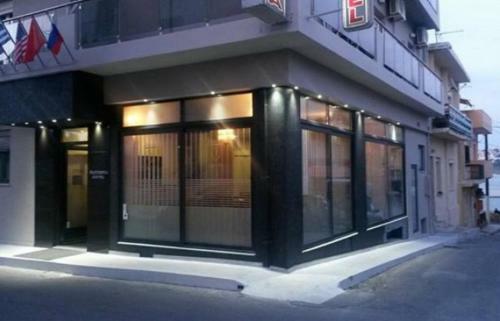 It features free Wi-Fi internet and air-conditioned the rooms. Just 50 metres from Agii Apostoli beach, the family-run Jechrina offers a pool and a pool-side restaurant serving Cretan dishes. Its spacious rooms have free Wi-Fi and private balcony. Situated in the centre of Chania, just a few steps away from the Municipal Market, Ellinis Hotel offers air-conditioned rooms with balcony. Free Wi-Fi is available throughout the premises. A cinema with 3 halls is available on site. Located on the western wall of the old town of Nea Chora Chania, Irene Hotel offers rooms with balconies, some with views across Chania Bay. The beach is 250 meters away. 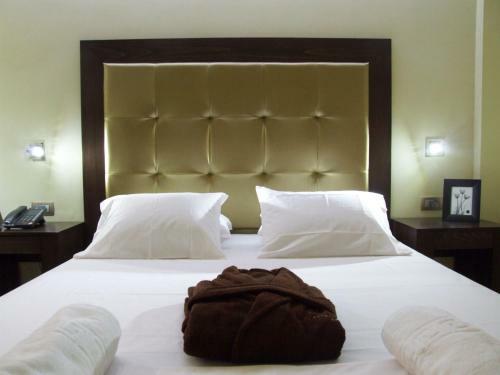 All of Irene Hotel�s rooms have tiled floors and a private bathroom. Archontiki Hotel is new family-run hotel, enjoying a central location in the city of Chania, located between the square of the Municipal Market and the 1866 square, right next to the beautiful old Venetian port. 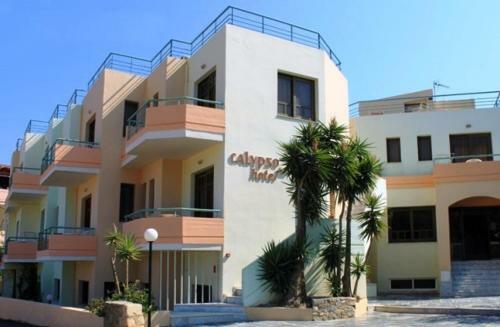 Located 80 metres away from the beach of Agioi Apostoloi, Calypso Hotel offers spacious accommodation with kitchenette and free Wi-Fi. The centre of the scenic town of Chania is 4 km away. 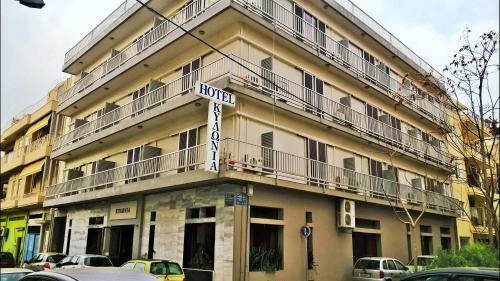 Kidonia Hotel provides a great location to explore the world famous city of Chania. All rooms are sunny and classically furnished. They feature a balcony, air conditioning, heating and have a private bathroom with shower. Just 100 metres from the sandy Nea Chora Beach, the family-run Hotel Ideon is in Chania Town. It offers free WiFi in public areas and air-conditioned accommodation with a balcony. The scenic Venetian Harbour is a 15-minute walk away. In one of the most beautiful cities of Crete, Chania, you can find Falassarna Hotel 200 meters from the beach of Nea Chora, 10 minutes from the venetian harbour and 15 minutes from the center of Chania. Situated in Chania�s lively Koum Kapi district, just 40 metres from the sandy beach and close to Chania�s Venetian harbour, this friendly hotel offers warm hospitality and free wireless internet. The family-run Danaos offers a friendly and relaxed base in the heart of Chania, just a short walk from Chania�s Venetian harbour and right next to the beautiful sandy beach of Nea Chora. 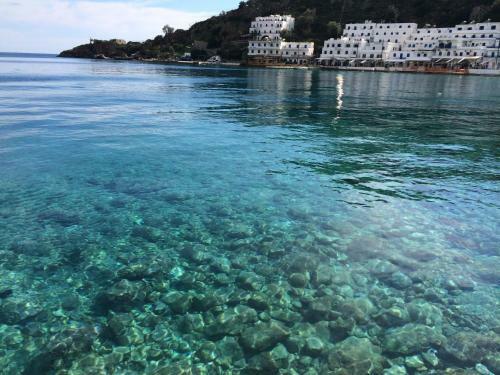 Boasting a beachfront location, Hotel Porto Loutro on the Hill is quietly located in Loutro village. It features a bar-restaurant, a sauna and 23 rooms, some with Libyan Sea views. Wi-Fi is available at extra cost. 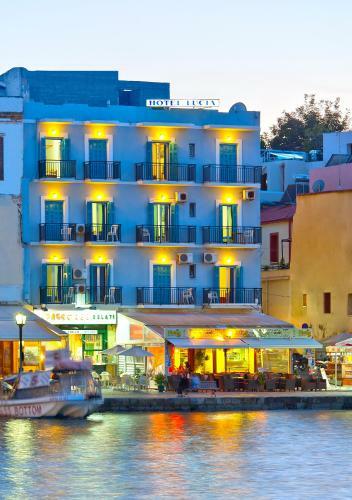 The Nefeli Hotel enjoys a central location in Chania, within 250 metres from the historical Venetian harbour and just a 5-minute walk from the old town. Enjoying free Wi-Fi access throughout, the hotel includes a cafe-bar and a breakfast area. With a stunning location right on Chania�s beachfront, Hotel Christina features sea-view rooms and has a 2,000-m� garden that leads right to the beach. 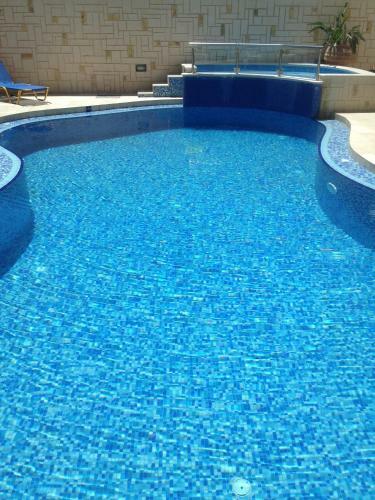 The 2-star resort has an outdoor heated pool and a children�s pool. Just 40 metres from Gerani Beach in Crete, the family-run Matzi offers a pool and self-catered rooms with views to the Cretan Sea and gardens. Gerani�s centre is at 400 metres. In the centre of Palaiochora, in Crete, 50 metres from Votsala Beach, Glaros offers rooms with free Wi-Fi and a balcony overlooking the gardens. Breakfast is served under a bougainvillea-covered pergola. Just 50 metres from Kato Stalos Beach, Alkion Hotel features a pool area with sun beds and umbrellas, a gym and a children�s playground. Free WiFi is offered throughout. Located within a 10-minute walk from the sandy beaches of Nea Chora, Chrissi Akti and Agioi Apostoli, the family-run Hotel Alexis overlooks Chania and the Cretan Sea. Rooms offer a balcony, free WiFi and air conditioning.